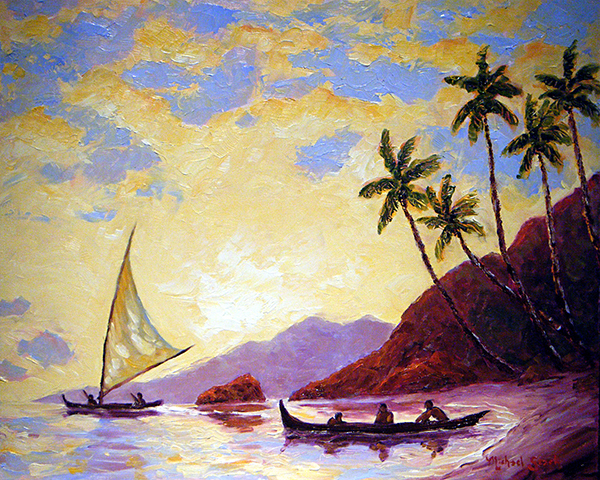 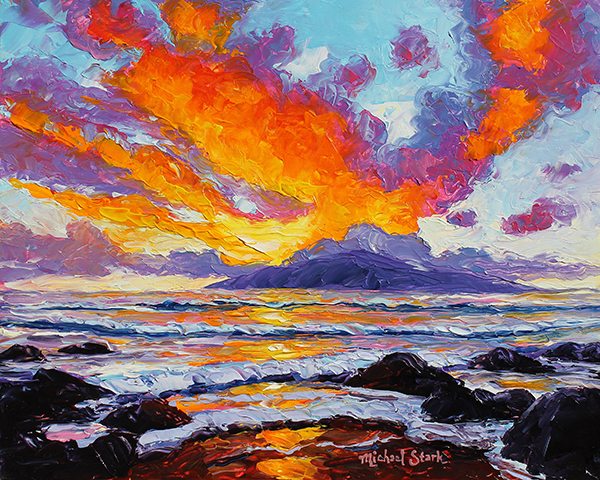 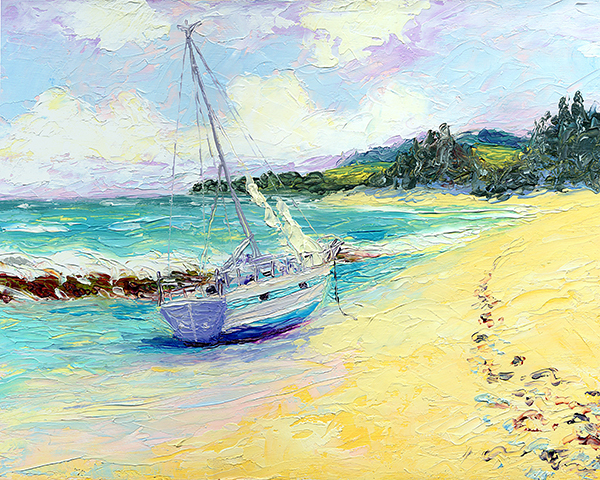 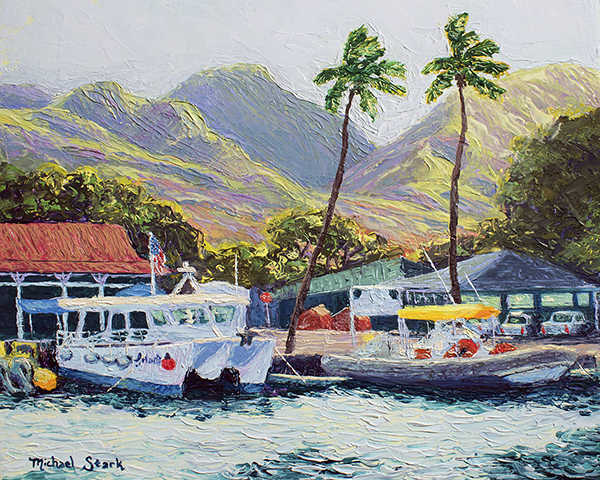 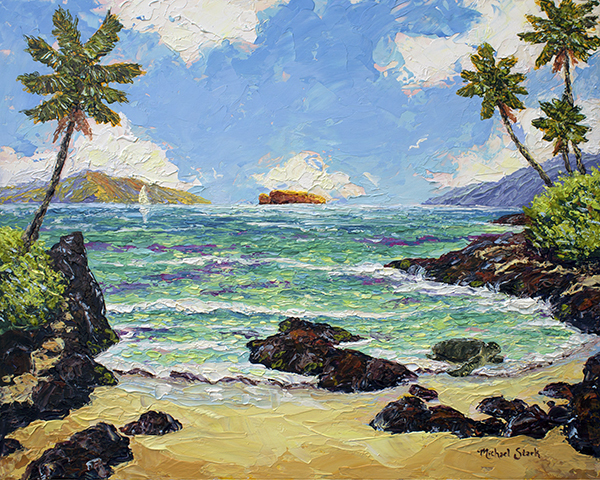 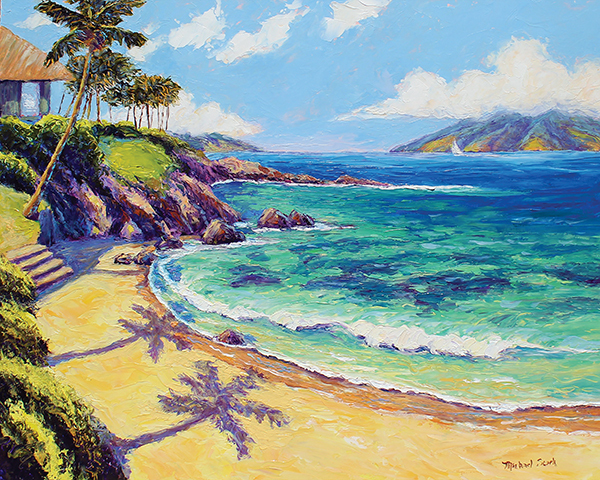 Michael's plein air renditions of celebrated island locales are alive with vibrance and texture. 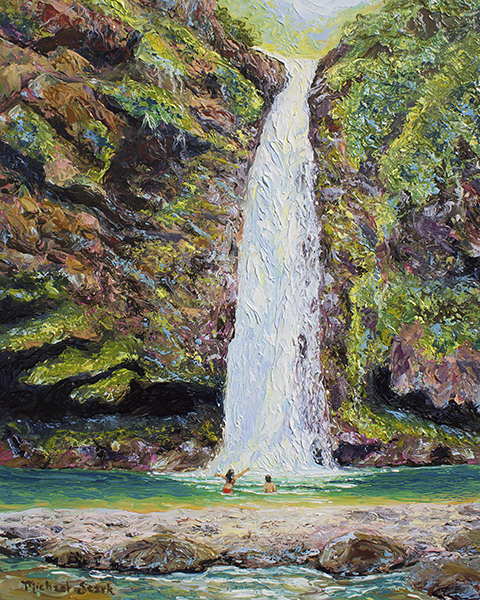 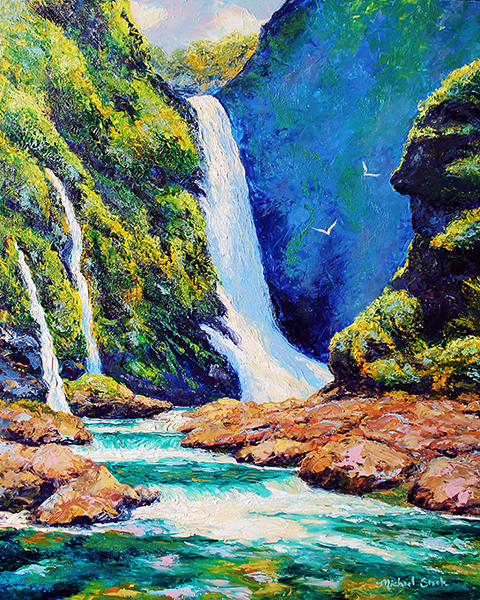 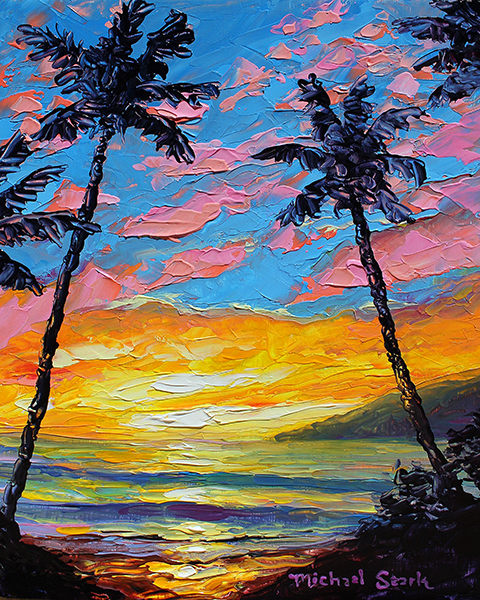 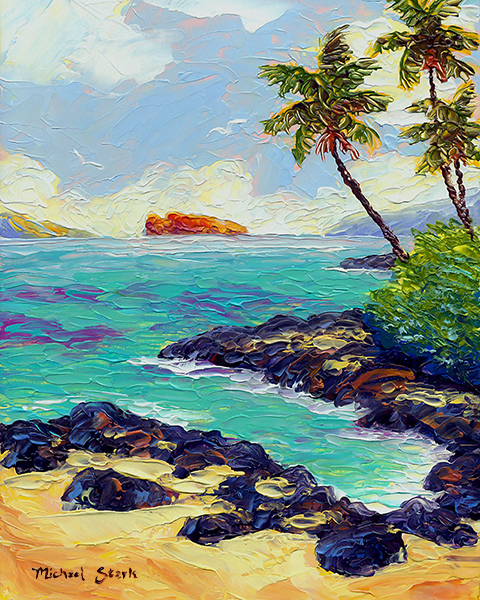 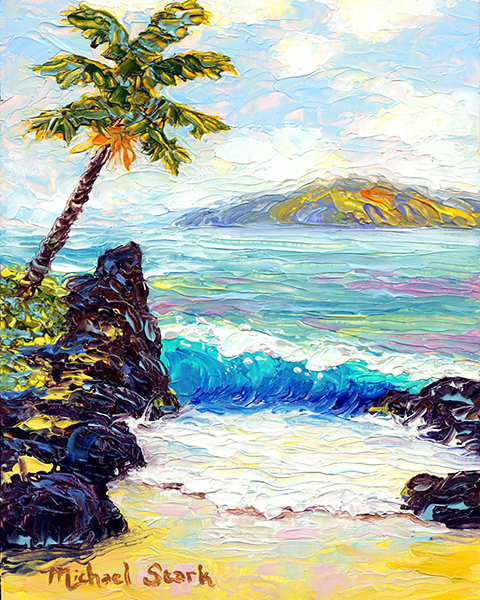 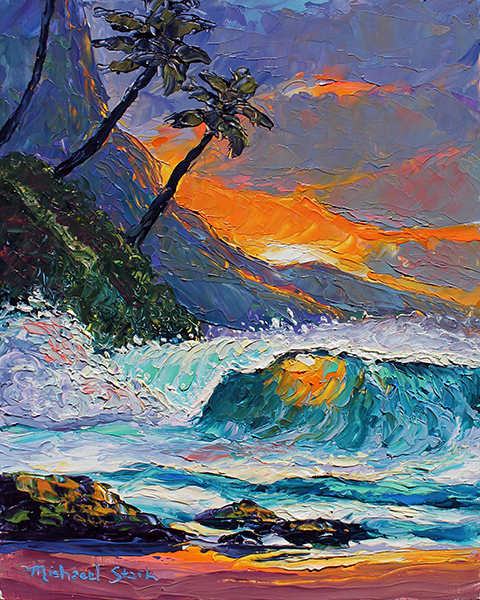 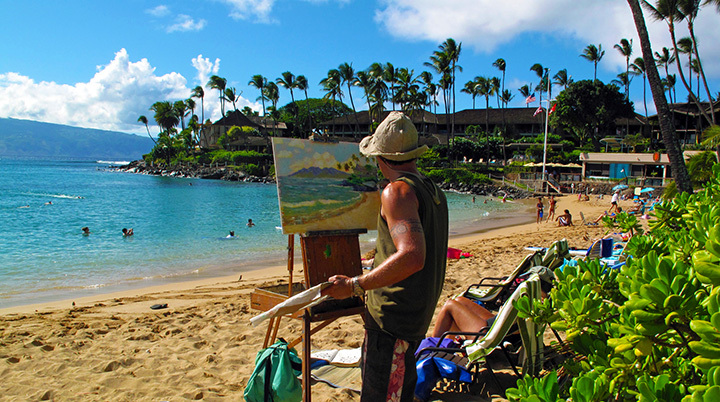 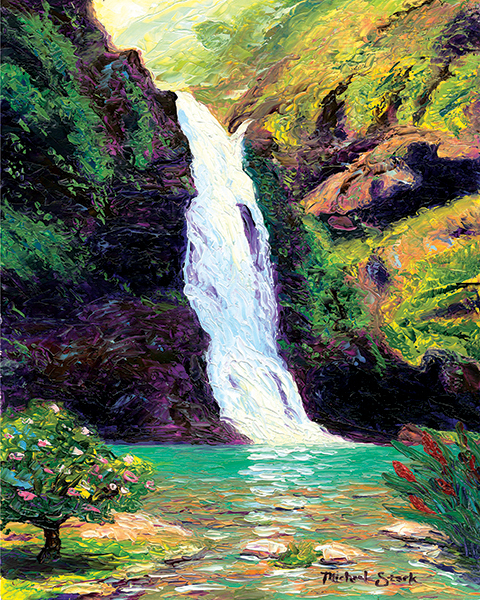 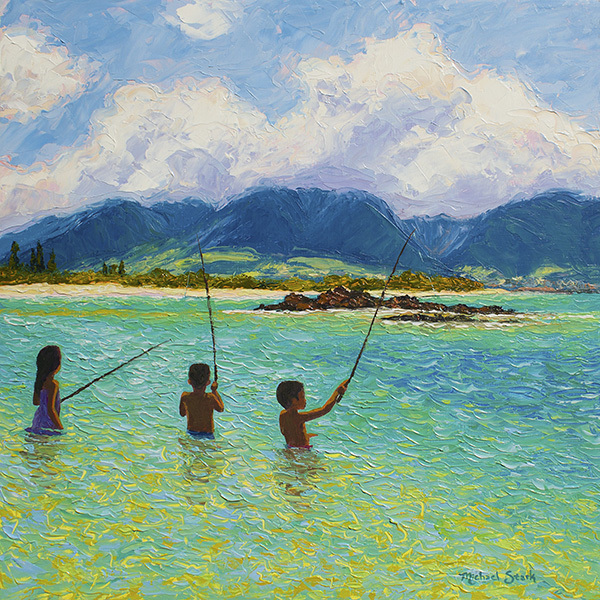 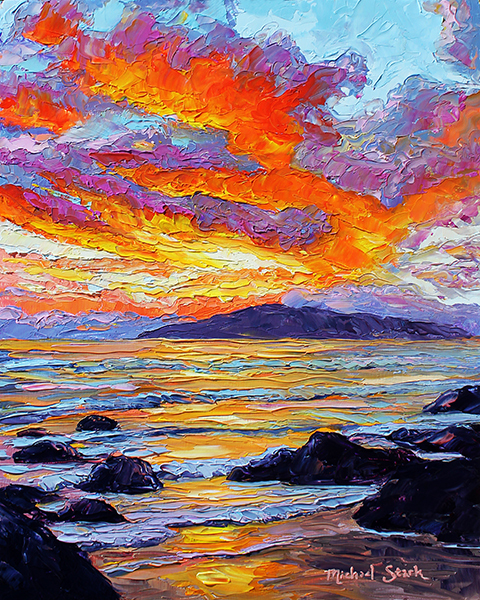 Enjoy the romance of impressionist scenery created on location at different sites around Maui. 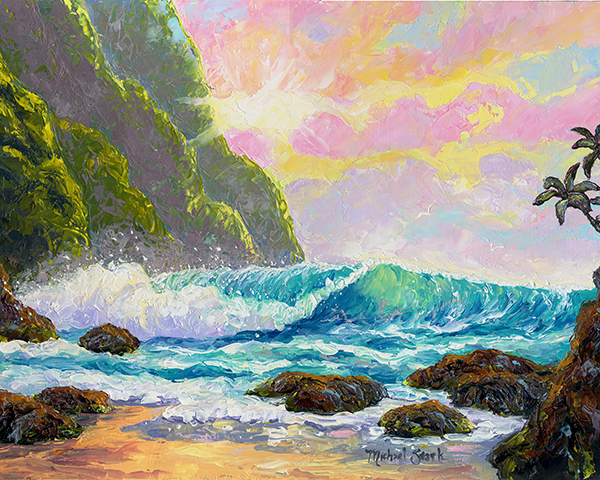 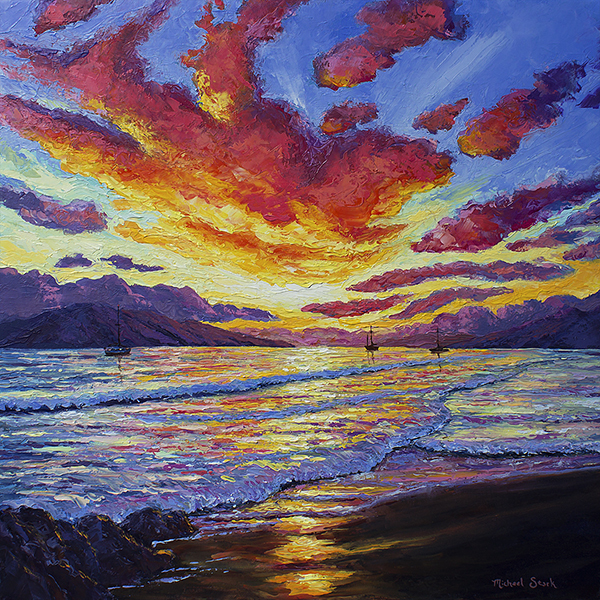 The beauty of these pieces lies in their ability to capture the light of the moment. 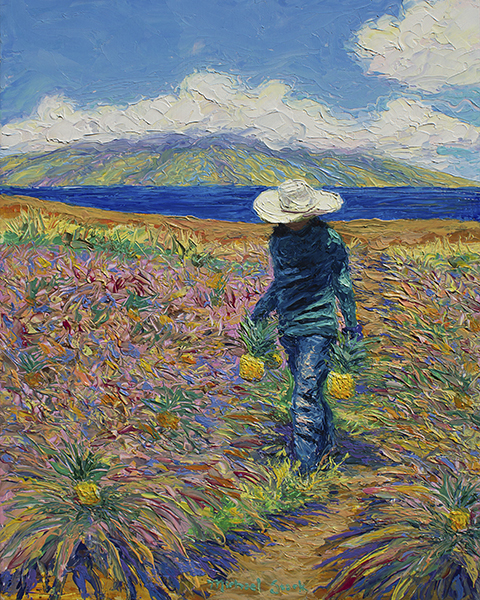 "The Last Harvest ~ Kapalua"